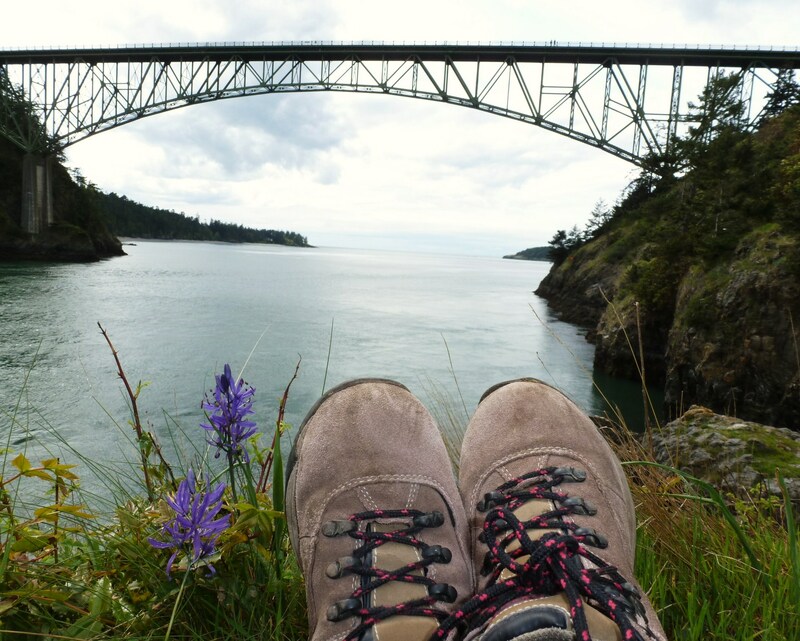 Said to be the most visited state park in Washington, with its rugged coastal headlands, beautiful coves, old-growth forests, and nearly 40 miles of trails, it is no wonder I have been visiting Deception Pass State Park since the early 1970s. 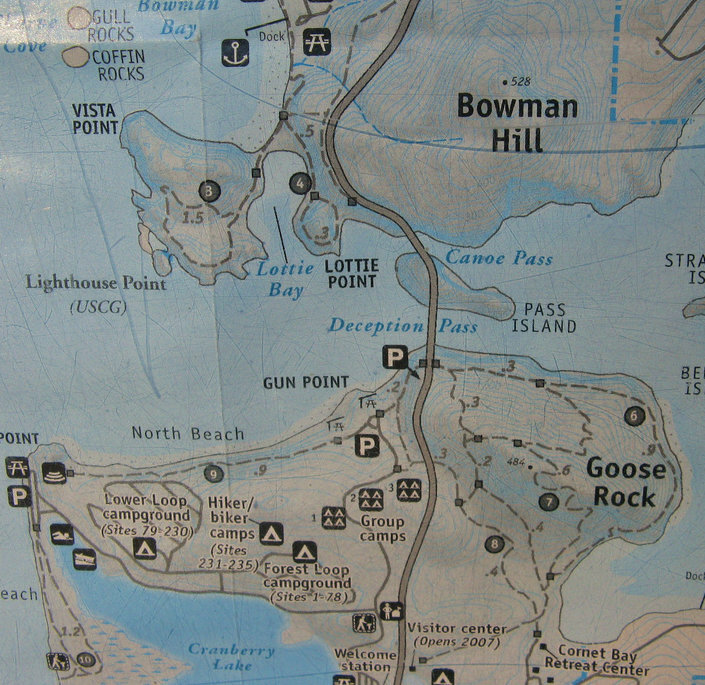 Beginning at the parking lot near North Beach, today’s hike included Goose Rock, Pass Island and North Beach. Following the trail through an old-growth forest to the Deception Pass Bridge 100 foot above, I walked under the bridge and connected with the Goose Rock Loop Trail. After following the perimiter trail around Goose Rock, I continued on to the Summit Trail, and began the climb as it twisted and turned to gain over 400 feet in less than a half mile. 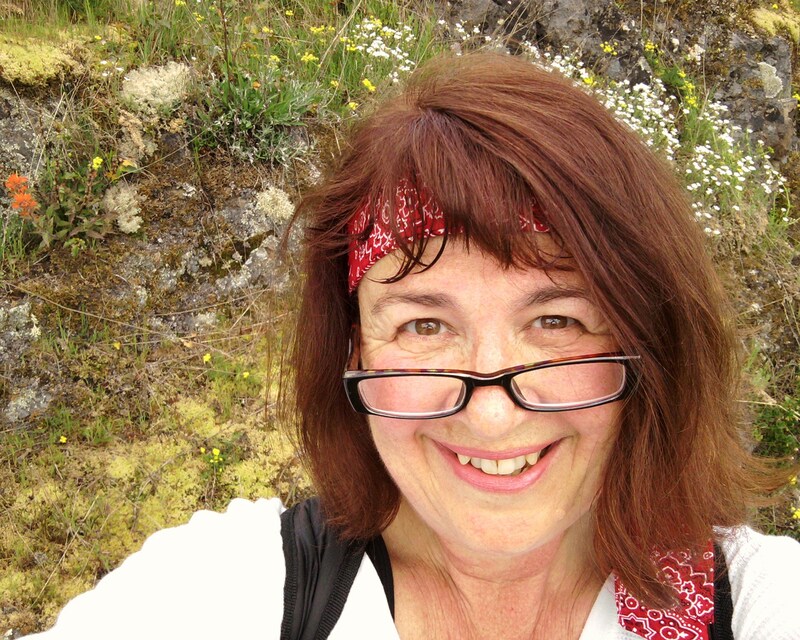 After that final push, to my delight not only was the view spectacular (to the north, Mount Erie; west, the Straight of Juan de Fuca, Olympic Mountains and San Juan Islands; and to the south, the Widbey Island countryside), there were wildflowers blooming just about everywhere. Next I took the trail back down to Deception Pass Bridge and followed the walkway along the bridge to Pass Island. While there does not seem to be an official trail map for Pass Island, there is a stairway leading down from the viewpoint deck that allows access to footpaths. 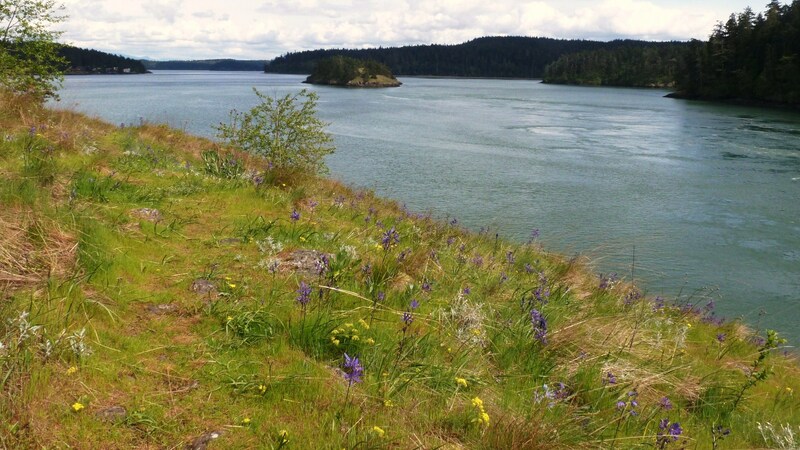 These paths lead down to the huge, jagged rocks under the Deception Pass Bridge, and on around the tiny island. Those paths are on very steep, rocky terrain and are very close to the edge of dangerously high cliffs, so if you decide to venture off that viewpoint deck as I did, be extremely careful. 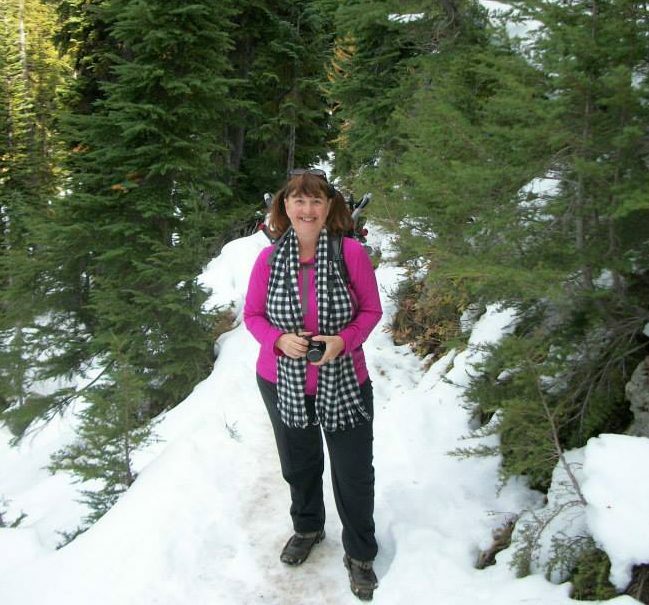 It was a beautiful hike and worth the effort – and I was careful. Again, wildflowers were blooming in the meadows and along almost every path. 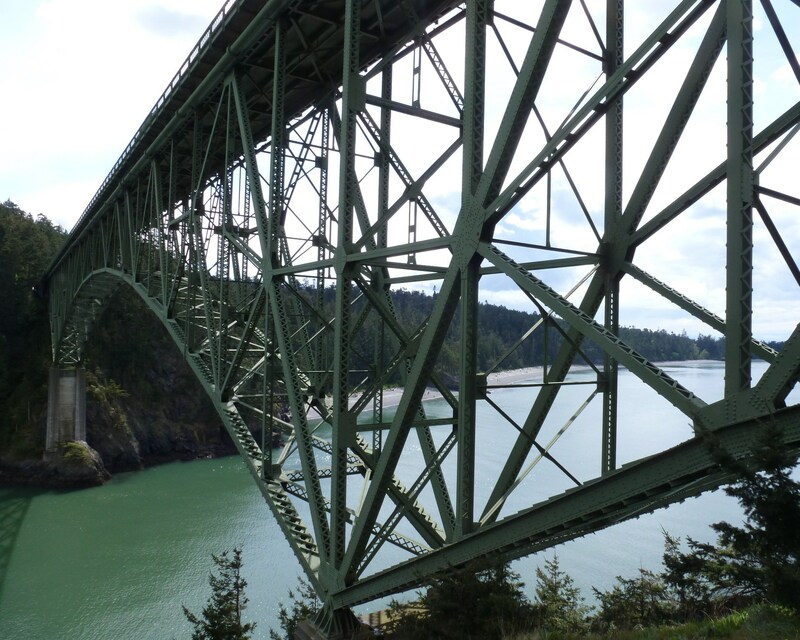 The view from under Deception Pass Bridge is absolutely stunning. A river otter was swimming near the rocks just below the cliff on which I sat, and on the other side of Deception Pass above the trees on Goose Rock (where I had just hiked), eagles were soaring. I spent about an hour exploring the trails around the perimiter of Pass Island, even lost the trail a couple of times in the more forested area on the back side, before finally making my way back to the viewing deck up on top. Heading over Deception Pass Bridge again, I followed the walkway on the other side, and returned to the trail that took me back to the beach below. Continuing on to North Beach, except for a family of geese, I practically had the entire beach to myself. 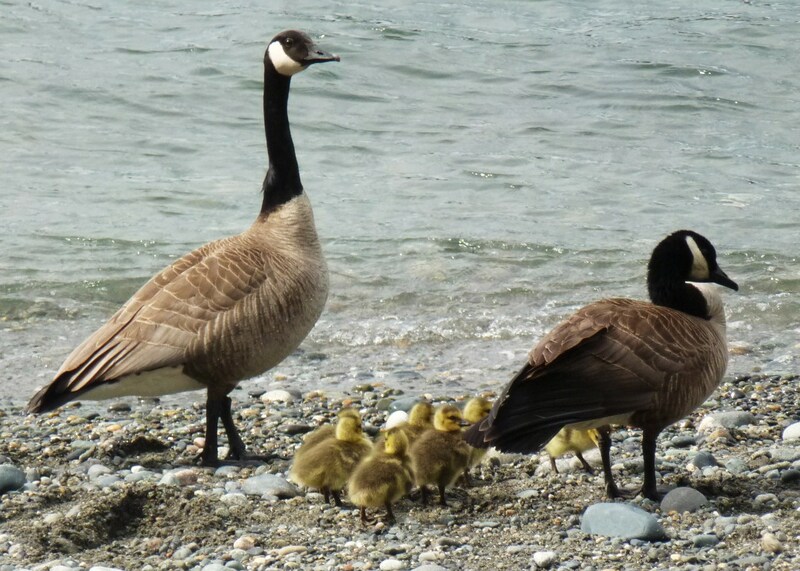 I watched as the parent geese took their babies for a swim. Go here – http://youtu.be/FWigJ4EoklI – to see the video I took their swimming lesson. So cute! Rather like living in our own little “Water World” here in the Pacific Northwest, I sometimes tend to take our water and mountain views a bit for granted, but wildflowers – they are seasonal and not as easy for me to find. The wildflowers were definitely the highlight of this hike. Okay – the views were absolutely outstanding too!